BALDWIN PARK, CA (October 12, 2011) – CyberpowerPC, www.Cyberpowerpc.com, a leading manufacturer of custom gaming PCs, today announced the Gamer Scorpius line, a series of desktop gaming PCs based on AMD’s new FX-series “Bulldozer” CPU series. The new Gamer Scorpius series combines AMD’s new FX CPU, Socket AM3+ (900 series chipset motherboard), and AMD Radeon HD 6000 graphics into a desktop gaming rig that has a boost in performance of 50 percent over the previous generation of AMD desktop platforms at a low cost. The new AMD FX CPU provides fully unlocked processor clock multipliers that ensure maximum speed while processing to enable an unrivaled PC enthusiast experience for multi-display gaming, mega-tasking and High-Def content creation. CyberpowerPC will feature all four unlocked AMD FX CPUs in its Scorpius series including: AMD FX-8150 3.60 GHz 8-Core CPU; AMD FX-8120 3.10 GHz 8-Core CPU; AMD FX-6100 3.30 GHz 6-Core CPU; and AMD FX-4100 3.6 GHz Quad-Core CPU. The world’s first native 8-core desktop CPU line will also incorporate Microsoft’s DirectX 11 technology for an ultra-realistic gaming experience as well as AMD’s Turbo Core and VISION Engine graphics technology to help boost CPU speeds when you need it and make digital content like videos, games, and photos look their best. The new platform also provides native multi-monitor support. CyberpowerPC’s Gamer Scorpius gaming PCs can be customized with a number of cooling options including CyberpowerPC’s Xtreme Hydro Liquid Cooling kit, CoolIT ECO-II liquid cooling, and Asetek 500 series liquid coolers. 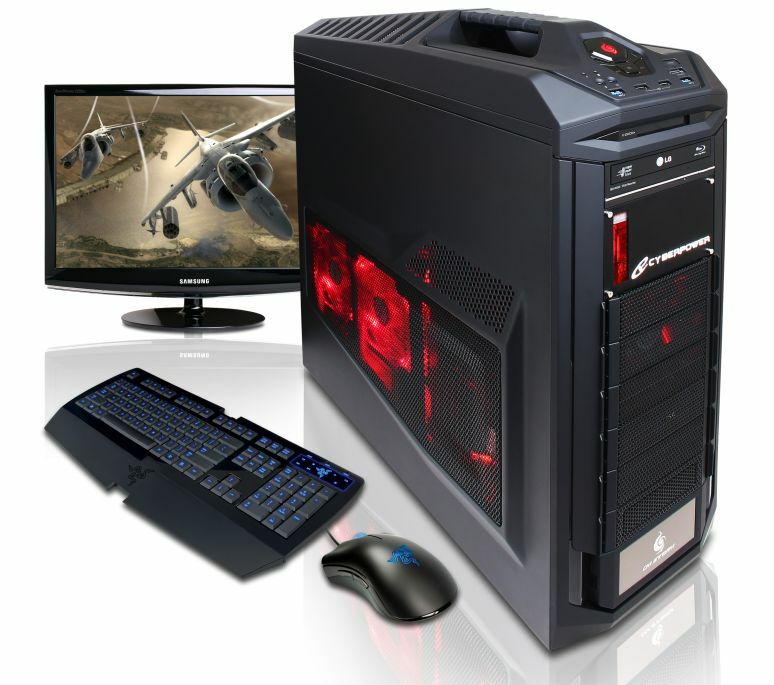 Additionally, users may configure the Gamer Scorpius with other hardware and components such as hard drive and/or SSDs, optical drives, gaming memory, and more at the company website, www.cyberpowerpc.com. In addition to the Gamer Scorpius series, CyberpowerPC will also update its existing Gamer Ultra and LAN Party EVO Ultra based gaming PCs with the new AMD FX processors. Starting prices for CyberpowerPC Gamer Scorpius systems powered by the new AMD FX CPU start at $576. CyberpowerPC Inc. www.Cyberpowerpc.com was founded in 1998 and has emerged as one of the leading custom computer system manufacturers. Headquartered in Baldwin Park in Southern California, CyberpowerPC manufacturers and distributes a complete line of custom built gaming desktops, gaming notebooks and high performance workstations to meet the unique needs of gamers, businesses, government agencies, educational institutions and other end-users. For more information contact: Sales (800) 707-0393; Email CyberpowerPC@Cyberpowerpc.com.